I only worked at schools that have had deferred recruitment so I might be a little late in getting to those of you who attend schools that have already disseminated bids aka invitations to join. To those of you that have chosen to become a part of Greek Life, CONGRATULATIONS! To those of you have decided not to pursue Greek Life, CONGRATULATIONS! To those of you who had a less than desirable recruitment/rush experience…CONGRATULATIONS! I’m a firm believer that it all works out for the best. Trust the process. To those of you who are just confused…CONGRATULATIONS! Keep reading and perhaps I can offer some insight. 1. I didn’t join my sorority as an undergraduate student. I was honored to be invited to join as an alumnae initiate. My decision not to join as an undergraduate had nothing to do with being anti-greek or an inability to acquire a bid. It had to do with money, racial identity matters, lack of understanding as to how joining a sorority could add to my already full collegiate experience, and a bit of skepticism of the whole pledging process. This one was not signing up to be hazed. Nope, no ma’am. My future was too bright for foolishness. 3. I have loved my non-traditional sorority experience. I’ve been involved in my alumnae chapters in The Triangle and Nashville. I also had the opportunity to visit my EO this summer in Arlington, TX. Until I was 26, I wasn’t a member of a sorority therefore I do a pretty great job of staying objective on this topic. This is an extremely personal decision. Don’t join because it seems like everyone else is joining. Don’t join because everyone in your family joined. Don’t join because of cliché statements such as, “Don’t you want to be a part of something bigger than yourself?” Answer: you already are –that feeling doesn’t require another membership. Do your research by going to open events, chatting with current members, and setting up a meeting with the staff on your campus who advise these organizations. I can’t blame you for taking into account everything you see in the media when making this decision. Unfortunately, most things you see about fraternity and sorority life in the media is pretty dang bad, in fact, it’s pretty dang awful. What’s even worse is that a lot of it is true. What I will say is that not every chapter, member, or community has the makings of a Lifetime movie,scathing Huffington Post blog, or sickening TFM/TSM post. There are people doing Greek right. There is a whole other heartwarming and worthwhile side of fraternity and sorority membership. Friendship–brotherhood/sisterhood–service–philanthropy–leadership–scholarship–and all the yummy values-based stuff you can think of actually do exist. You can find your bridesmaids and groomsmen. You can find people who will stick by you through thick and thin. People who will help you when you’re ill and celebrate all your successes. You can raise an incredible amount of money for fantastic causes and you can serve entire communities through hands-on service. The possibilities are limitless. However, you often won’t be made aware of the full picture unless you give the Greek community a chance by attending an information session, tabling event, rush meeting, and other opportunities designed solely to create a space for people like you to become informed. Great chapters are working to recruit the best members; let them woo you. Ask real questions. Request real answers. If you feel like you’re getting a canned answer then you’re probably right. Push harder. This is a lifetime commitment and you want to be real clear about what you’re about to pledge your life to. Think about what would make this joining experience worthwhile for you and then take the time to inquire about those desires. Become informed about all of your membership possibilities. For instance, do you have to join during the first semester? As a first-year student? Are there opportunities to join during the next semester? Will going through recruitment as an upperclassmen hurt your chances? Many students would rather acclimate to their campus surroundings and academic schedule before joining a Greek-lettered organization. Make sure that you’re clear on what waiting might do for your chance at membership. At some schools being older greatly impairs your chances at a bid. Gain an understanding of all of the possible fraternities/sororities you can join. NPC, NPHC, Multicultural, Co-Ed, Professional, Service, Academic…there are many ways to belong to a Greek-lettered organization. Perhaps a traditional “social” group isn’t for you and instead you’d be happy become a sister of the engineering sorority. I joined at 26 for extremely different reasons than I would have had at 18. At 18, it would have been about making friends, creating a smaller community on my campus, the cuteness/happiness of it all, the social opportunities, and some of that values stuff might have played a small role. At 26, I joined because I believe strongly in the values of my organization. I support our efforts at making women better women. I am an advocate for our stellar philanthropic work. Our ritual makes me cry. Our Purpose connects with my purpose. The women I have known since college from this group have always impressed me and I work to be like them. I love the progressive nature of my sorority. I was at a place in life in which I clearly understood that sorority membership is a reciprocal relationship. We make each other better. My reasons were a lot deeper than they would have been at 18. I joined right when I was supposed to and I’m glad that I didn’t become a member earlier in life. Go Greek or don’t Go Greek. I know that you can have a fulfilling college experience without membership the same way you can with membership. I think people gravitate to Greek because it seems so instant and easy. For many, it is worthwhile and for others they realize after joining that perhaps they should have made a different decision. What I would encourage you NOT to do is to knock it before you try it. I mean, some things you should knock before you try like drugs BUT I’m not going to make the leap to group Greek Life and drugs in the same category. Don’t judge something or someone that you don’t know anything about except for what you see in the media. 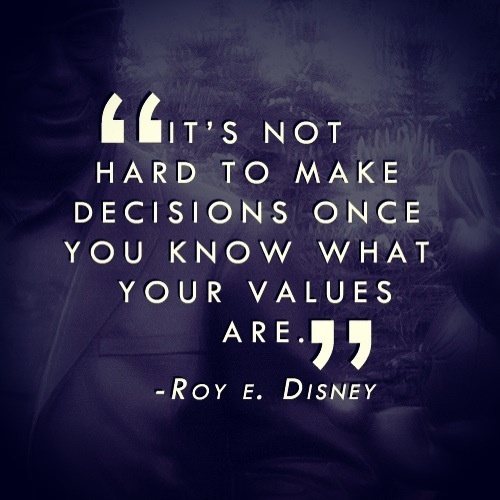 Make your own informed decisions. Oh, and the above advice is just good life strategy. Sign up for Recruitment and participate in a Round or 2. Go to a few Rush events and check out the scene. Make a few visits to programs being held by the Greek community or specific chapters. You really don’t have that much to lose by just seeing what’s available and collecting information. I’ve met many women and men that were “Maybe Joiners” and after a few rounds of recruitment, they were sold on the experience. I’ve also worked with men and women who couldn’t wait to become a member but realized that during the process of joining that this didn’t really meet their expectations. Disconnect from the blabbering of all the so-called “experts”–myself included–and venture out to see what your gut tells you about fraternity/sorority membership. You know, I’m a firm believer in the gut. If you decide it ain’t your thang. Cool. However, support your peers who have made the decision to join and live the Greek life. Yes, you might spot its flaws, but nothing in college is perfect. Respect those who are doing their best to add value to your campus, community, and the lives of fellow students through their membership. Don’t be Judgey McJudgerson. For those of you that do join, don’t look down on those who decide not to or aren’t able to due to the process. Invite them to open Greek events and support them in their campus involvement. Don’t make a snap judgement because someone isn’t Greek. This doesn’t mean that they are less than you. 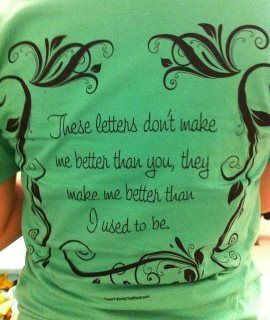 Your letters don’t make you better than anyone else. No campus benefits from Greek v. Non Greek Battles. You aren’t Biggie and Tupac. Scratch it. 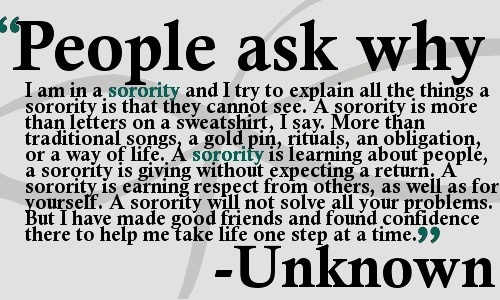 Whatever you do, join a fraternity/sorority for the right reasons. The values, the people, the service, philanthropy, leadership opportunities–no matter what you see in the media, the heart of Greek Life is a beautiful thing. Alright, now go learn and figure out whether this world is for you. Check out this blog on deferred recruitment and a few other blogs I’ve done on Greek Life. Thanks for reading. Happy First Year! I am really interested i joining a sorority has an alumna initiate. I have looked into a couple sororities and Tri Delta sticks out to me the most. I went through recruitment as a junior just to see what it was like. I ended up dropping after the first round because my heart wasnt really into it. Anyway i would love to try again. What is the best advice you can give me? Thanks!! Hi Jackie! Thanks for reading. I’m in the higher education field and worked with Greek Life so I think it made it easier for me to be selected as an alumnae initiate. Most of my friends I know who joined at a later time are in the same profession. The other avenue that I’ve seen is people advocating for their family members to be a part of their organization. I would reach out to whatever organizations interest you to learn more about their process. Often when new chapters come onto college campuses, they initiate women who have been helpful to them in the process BUT I’m not sure of your background or if you have any current connection to a college campus. Send an email or letter to the inter/national organization for more specific information.